I Drive waren eine britische Hardrock-Band, zu der am Anfang auch der spätere wenty Sixty Six And Then- und Kin Ping Meh-Sänger Geff Harrison gehörte. They came from Manchester in 1966 and were one of the last British bands to enter Germany on the Star Club trail. 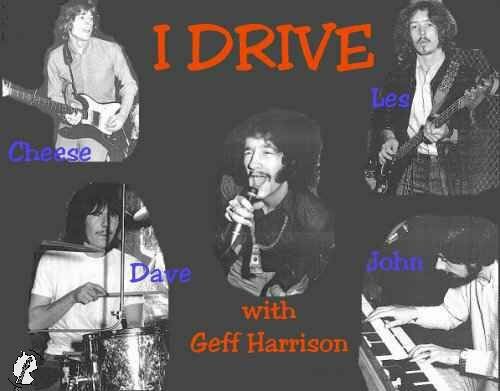 Fronted by singer Geff Harrison of later 2066 & Then and Kin Ping Meh fame, I Drive toured Germany up and down for four years. Playing the live clubs night by night from eight to three, they did the rock loud, fast, straight and - although having been in Germany for such a long time - very British. 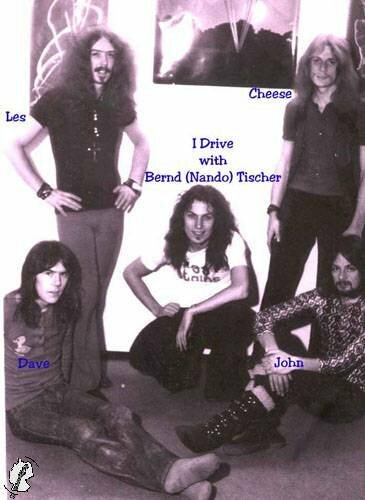 In the late Sixties the German club scene died and so did live music, only a few chains associated venues survived; one of them in the deep South of Germany booked I Drive for a several-month-club-tour. They settled down and rented a small house in the country for loving and rehearsing, right in the middle of nowhere. From now on a strong folloging of fans even accompanied them on tours. A single was released in 1969 and sold at gigs: It showd that the former "beatgroup" had grown up the hard way to be a great heavy progressive outfit with the ability to make it on a bigger market. Geff Harrison left in 1970 to start his own career. And the remaining quartet finally was discovered by a British manager, who had once worked for the Beatles. He installed the band in Munich, they earned their living as studion musicians and collected material for an album. 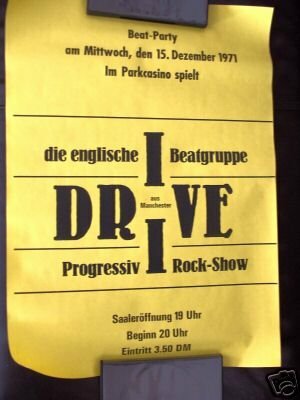 I Drive was off the road from then on, only playing open air gigs from time to time. More than 30 tracks were recorded for the LP. One of those songs that didn't make it for release was an alternative version of "Before the devil", where tha band played with the Munich Philharmonica Orchestra. When the masters were finally ready, the group did, what they weren't allowed to during the recording sessions: a live performance of the whole LP material in the studio. This live gig was recorded too and also vanished from the archives just as the non LP tracks. When the album was released in 1972 by a German major company I Drive had to realize that just a few copies had been pressed and distributed. There was no promotion at all from the company for reasons beyond the field of music and the control of the band. Classic Rigby Part 1 / Classic Rigby Part 2 7"